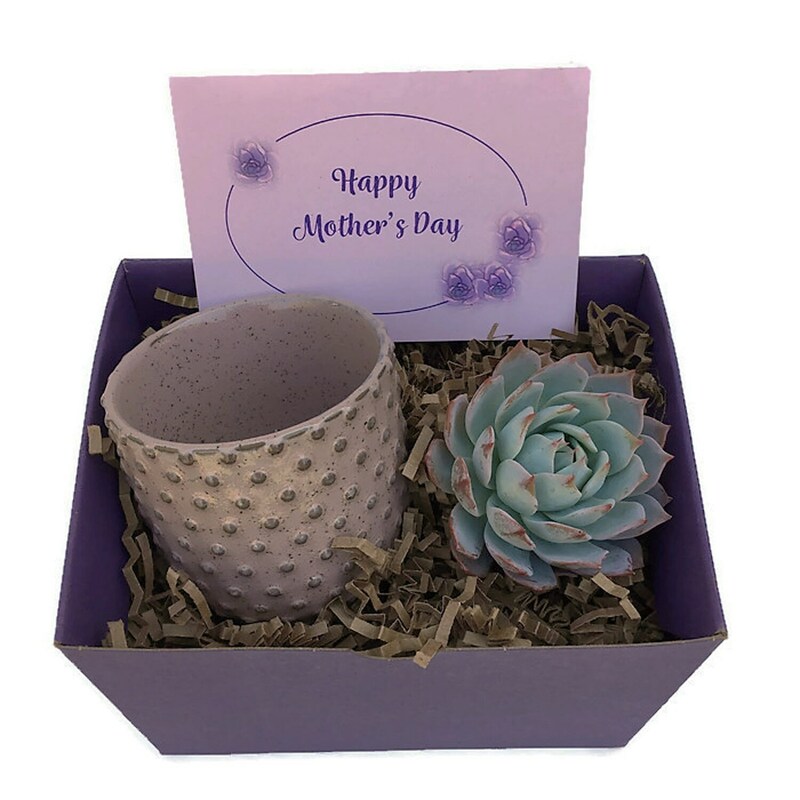 Surprise mom with this gorgeous succulent gift box with a pink/purple-ish ceramic planter. 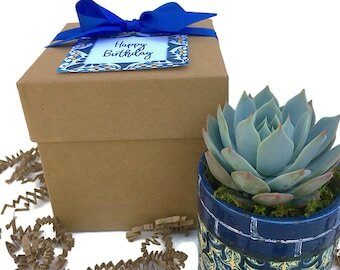 This is shipped as a super easy and fun to assemble DIY kit in a purple gift box. 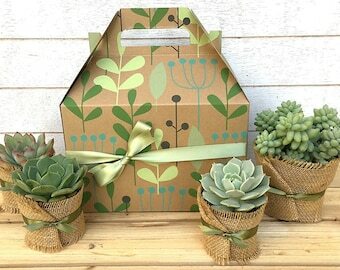 - 1 large succulent (Echeveria Violet queen or similar).Succulents are approx 3" in size. - 1 light pink/purple-ish ceramic planter with dotted pattern . Each pot is approx. 2.75"x 2.75"x 3" (LxWxH). All wrapped up in a purple gift box (6"x6"x3.5"). Box is tied with purple twine.